Magnesium is a mineral needed for many of your bodily functions. 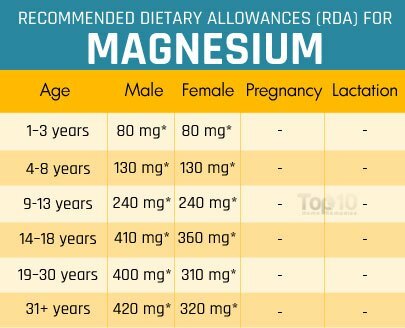 Your heart, muscles and kidneys all need magnesium to work properly. The mineral also helps build teeth and bones. In fact, magnesium is involved in more than 300 bodily processes, including muscle building, blood sugar control, muscle and nerve function, and blood pressure regulation. 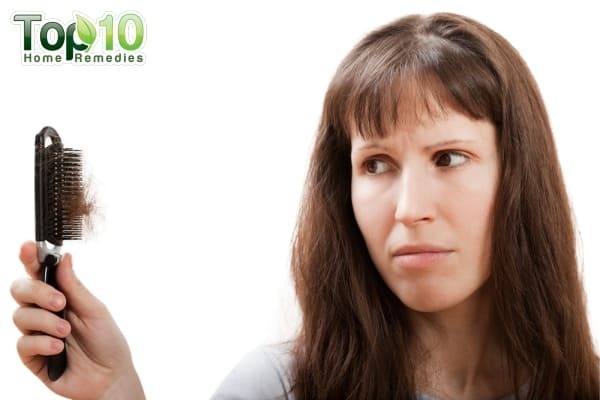 Magnesium also helps maintain the proper levels of other minerals, such as calcium, potassium and zinc. Even though this mineral is important, many people have a low magnesium level. Low magnesium in the body can cause muscle cramps, frequent headaches, abnormal heart rhythms, anxiety, depression, loss of appetite, fatigue, weakness, poor sleep and a rise in blood pressure, to name a few. 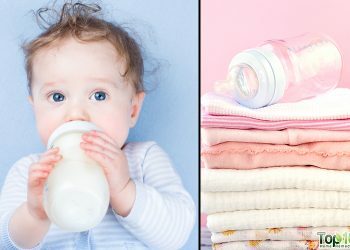 Some people are at a higher risk for being low in magnesium than others. This includes people with a gastrointestinal disease, people with diabetes, alcoholics or people who drink heavily, older adults, and people who eat lots of processed and fast food. Magnesium is found naturally in many different foods. Eating such foods can help you meet your daily requirement. 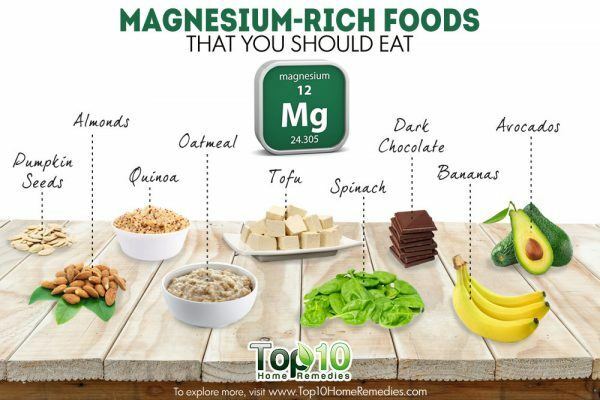 Here are the top 10 magnesium-rich foods that you should eat. 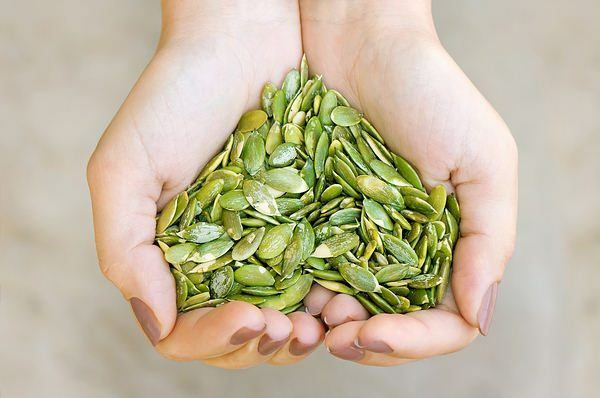 Most seeds are a good source of magnesium and pumpkin seeds definitely top the list. Just 1 ounce of pumpkin seeds contains a whopping 37 percent of the recommended daily intake. In addition, pumpkin seeds are rich in iron, copper, manganese, monounsaturated fat and omega-3 fatty acids. These tiny seeds are extremely high in fiber. They are a good source of vitamins E, K, C and many B vitamins. 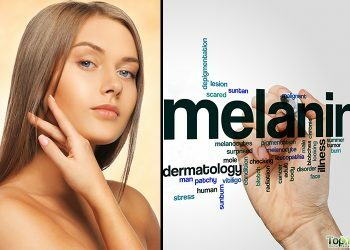 They also have antioxidants, which help fight against harmful free radicals that damage your health. In fact, regular intake of pumpkin seeds can help lower your cholesterol level, manage your blood sugar level, fight anxiety, boost energy, relieve arthritis pain, and improve your heart and bone health. You can eat a handful of roasted pumpkin seeds straight out of the jar. The sweet, creamy, nutty flavor of pumpkin seeds can also be enjoyed in desserts and baked goods as well as in grilled and savory dishes. Most dark green vegetables are rich in magnesium and spinach is no exception. 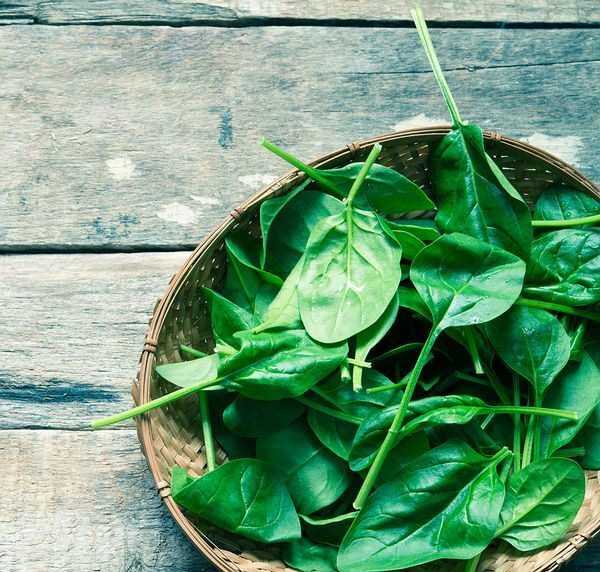 Just ½ cup of boiled spinach contains almost 78 mg of magnesium and provides 20 percent of the required dietary intake. Cooked spinach is also rich in calcium that can be easily absorbed by your body. In addition, spinach is an excellent source of several nutrients, including vitamins A, C and K, iron and manganese. You can also find zinc, selenium, copper, folate, protein and dietary fiber in it. Plus, it is loaded with flavonoids and carotenoids. Regular intake of spinach can aid detoxification, improve your immunity, strengthen your bones, boost your muscle strength, fight anemia, improve your heart health, lower your blood pressure and boost your eye health, to name a few. Boiled spinach puree can be added to smoothies and juices. You can also lightly cook spinach and enjoy it as a side dish or add spinach to salads or soups. Other leafy green vegetables that are rich in magnesium include Swiss chard, beet greens and turnip greens. Just a handful of almonds can help you add magnesium into your diet. Almonds are very high in magnesium, with just one handful containing about 20 percent of the daily requirement. Along with magnesium, almonds are rich in vitamin E (an antioxidant) as well as protein and heart-healthy omega-3 fatty acids. The oval-shaped nuts also contain fiber, calcium, zinc, potassium, phosphorus, copper, iron and some B vitamins. Regular intake of almonds helps improve your blood sugar level, reduce your cholesterol level, benefit your heart health, boost your brain power, prevent birth defects, fight constipation and strengthen bones. These nuts are also beneficial for your hair and skin. Soaked almonds make a great breakfast item, while dry, roasted almonds can be added to a variety of dishes for extra texture and flavor. You can also try almond milk or flour. 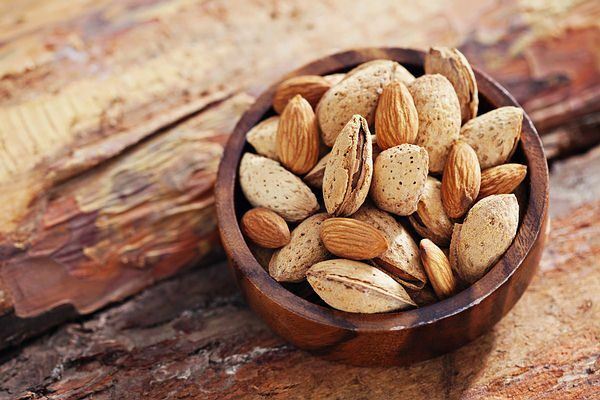 Along with almonds, cashew nuts, Brazil nuts and walnuts are also good sources of magnesium. If you wish to eat fruits to get magnesium, avocados are just the right choice. This incredibly nutritious and creamy fruit is a great source of magnesium. Just one medium avocado contains 58 mg of magnesium, which is equivalent to 15 percent of the required dietary intake. Avocados are also high in healthy unsaturated fats, fiber, potassium, B vitamins and vitamin K as well as copper, iron, phosphorus, protein and folate. 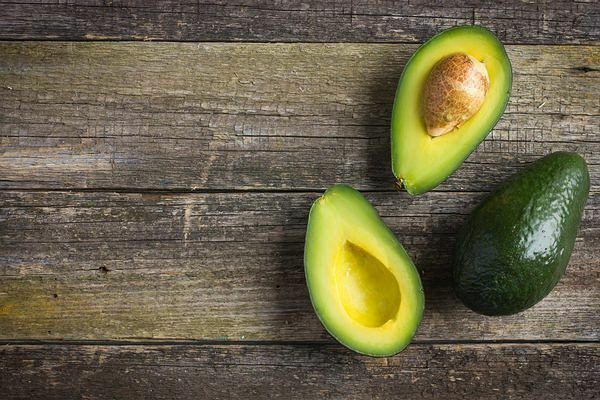 Consuming avocados can reduce inflammation, improve your cholesterol levels, keep you feeling full after meals, promote brain health, boost your heart health, prevent arthritis, protect against cancer, regulate your blood sugar and help with digestion. Simply by adding one sliced avocado to your salad or sandwich at lunch, you can give your body 15 percent of the recommended daily amount of magnesium. 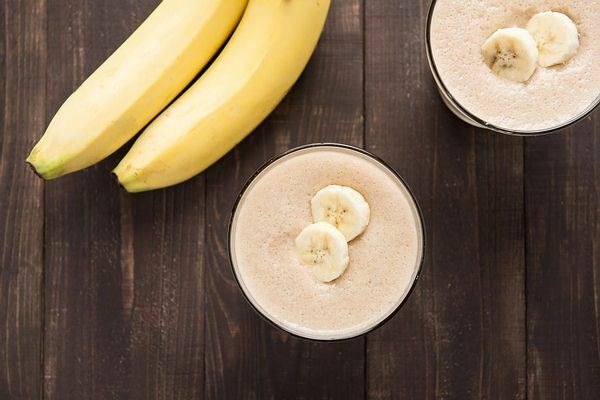 Another popular fruit that is high in magnesium content is bananas. Bananas are best known for being high in potassium, an electrolyte that can help lower blood pressure naturally. But they are also very high in magnesium. One medium size banana contains 32 mg of magnesium, which meets 8 percent of the daily requirement. Apart from magnesium and potassium, bananas are also a good source of vitamins C and B6, manganese and a lot of healthy fiber. They also contain carbohydrates, vitamin A, iron, phosphorus, calcium and zinc. Eating one to two bananas a day can help improve your digestion, boost your heart health, strengthen your bones, regulate your bowel movements, provide instant energy, improve your metabolism, and treat anemia, to name a few. A ripe banana makes a healthy breakfast or a mid-afternoon snack. You can also blend them into a smoothie, slice them into a bowl of oatmeal or on top of toast. If you love to eat dark chocolate, its high magnesium level is another reason to indulge in this sweet treat. 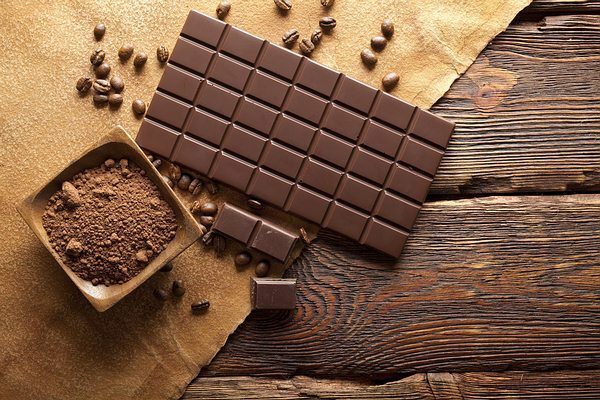 Just one square of dark chocolate with 70 to 85 percent cocoa contain 24 percent of the recommended daily intake for magnesium. Along with magnesium, dark chocolate also has fiber, iron, copper, manganese, potassium, phosphorus, zinc and selenium. Made from the seed of the cacao tree, it is one of the best sources of antioxidants. Eating just one to two squares of dark chocolate can help lower your blood pressure, improve your blood flow, boost your overall heart health, reduce stress, lower your cholesterol level, boost your brain power, aid weight loss and help prevent diabetes, to name a few. As all the healthy nutrients in dark chocolate also come with calories and sugar, it should be consumed in moderation. You can eat dark chocolate like a piece of candy or add it to smoothies or homemade cakes and muffins. Black beans also known as turtle beans are also a good source of magnesium. ½ cup of cooked black beans contains almost 60 mg of magnesium which provides 15 percent of your required daily intake. These legumes are also rich in protein, fiber, and antioxidants. In addition, they contain micronutrients like iron, calcium, potassium, and zinc. 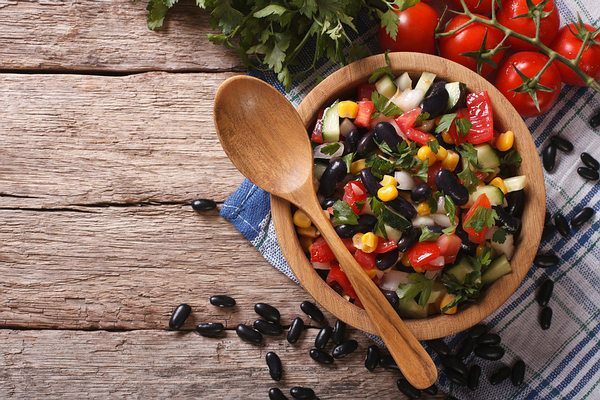 Black beans help prevent a spike in blood sugar levels, improve cardiovascular health, maintain healthy bones, and lower the risk of developing cancer such as colon cancer. You can add black beans to your soups, salads, dips and other dishes. Make sure to boil them in water for 10 minutes before consuming to help neutralize toxic compounds. When using canned black beans, make sure they have no added sodium. 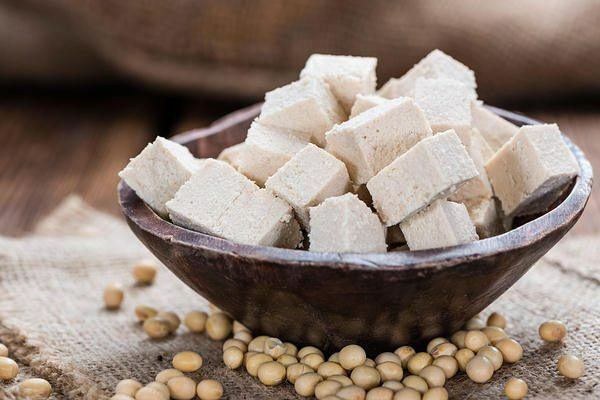 Tofu, a staple food in vegetarian diets due to its high protein content, is made by curdling fresh soy milk, pressing it into a solid block and then cooling it. It is also a good source of magnesium. Just 3.5 ounces of tofu has 53 mg of magnesium, which is 13 percent of the recommended daily intake. Along with magnesium and protein, tofu is an excellent source of calcium, iron, manganese, phosphorus, zinc, vitamin B1 and selenium. This highly nutrient-dense food is also low in calories. Eating tofu may protect you from heart disease, boost your immunity, reduce your risk of stomach cancer, improve your bone health, boost your brain power, make your teeth strong, and fight anemia, to name a few. You can use soft tofu in soups, salads, sauces, desserts, smoothies and shakes. Extra-firm tofu can also be cooked on the grill or used in baking and stir-fry dishes. Oatmeal is also a good source of magnesium. Just ¼ cup of cooked oatmeal contains 69 mg of magnesium, which is equivalent to 17 percent of the daily requirement. Oatmeal is also high in B vitamins, protein, iron, selenium, manganese and fiber. 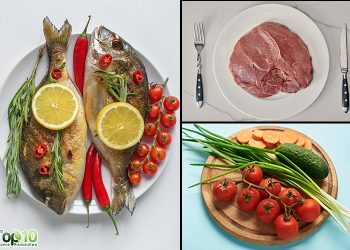 It also has folate, potassium and omega-3 fatty acids. Plus, it contains powerful phytonutrients and antioxidants. 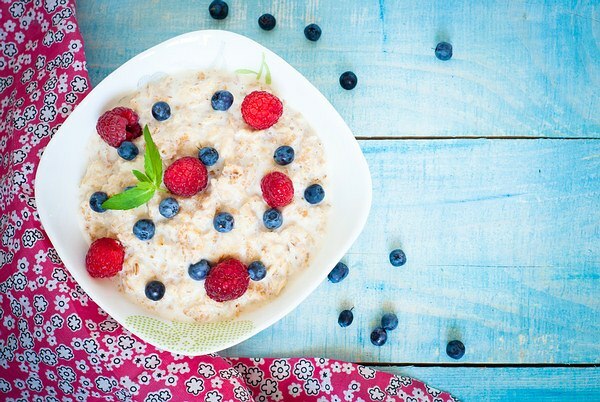 Eating oatmeal regularly can help reduce inflammation, decrease your risk of heart disease, lower your cholesterol level, stabilize your blood sugar, lower high blood pressure, protect against several cancers and aid weight loss, to name a few. Start your day with a bowl of energy-boosting oatmeal. You can top it with healthy fruits, nuts and seeds. If you don’t like oatmeal for breakfast, you can eat oatmeal cookies or bread instead. 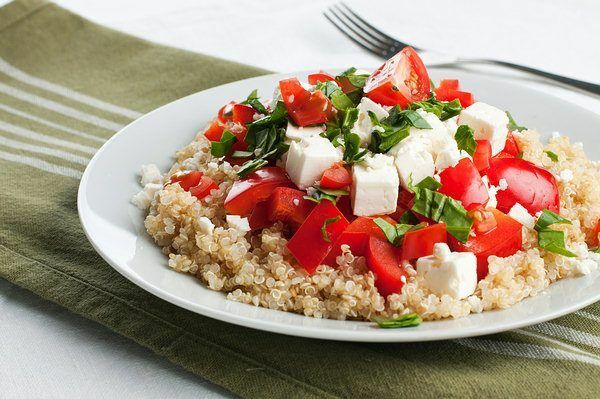 Quinoa is a whole grain and complete protein that contains a good amount of all nine essential amino acids. It is also a good source of magnesium. Just ½ cup of cooked quinoa has 63 mg of magnesium, which is equivalent to 16 percent of required dietary intake. Quinoa is also a good source of vitamins and minerals, such as riboflavin, manganese, calcium, potassium and iron as well as healthy substances like fiber. It is also high in a specific type of antioxidants called flavonoids. Eating quinoa regularly can help maintain a healthy digestive system, improve your heart health, and reduce your cholesterol and blood pressure levels. It can help keep you feeling full after a meal and aid weight loss. Quinoa is prepared and eaten in a way that’s similar to rice. It makes a great rice substitute. When someone is allergic and/or intolerant to so many foods it is hard to get all the right nutrients. I cannot have dairy, gluten, soy, fructose, bananas, tomatoes, onions, a collection of nuts. Socially speaking I am a lost cause and I do take magnesium but not enough as money only stretches so far with so many needed supplements.